Chanteclair Grease Remover – Master Tissue Hungary Kft. 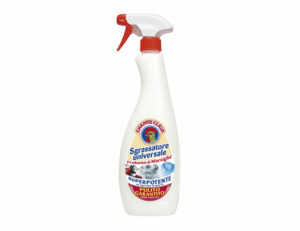 Chanteclair Universal Grease Remover is a multipurpose cleaner ideal for cleaning many kinds of hard surface (i.e. in the kitchen or bathroom), metal and plastic (car, motorbike, bicycle) and even cloths. Highly effective to remove greasy and oily stains, it is also suitable as pretreatment for removing stain before washing the laundry. Find out more about Chanteclair here.